As rewarding as matched betting undoubtedly can be as a way to make money online, there's no question that it can also be tricky to keep track of everything. If the occasional placement of matched bets is a complicated enough endeavour, turning it into a fully-fledged business is infinitely more so. How much money have you got coming in from matched betting? How much money have you got available to spend on matched bets? How have you fared over the last week, month or year? These are all questions that it can be difficult for you to answer if you don't organise yourself properly for matched betting, so here are our favourite 10 tips for keeping on top of everything. Once you have become accustomed to matched betting and want to make a serious long-term commitment to it, we strongly recommend that you set up a dedicated bank account. It doesn't need to be anything too fancy – just a basic separate account that you use purely for matched betting. You could even bring an old unused account of yours back into action, as long as you've still got the card for it. Maintaining a dedicated matched betting account will help you to track exactly what your matched betting profits are, while ensuring that any money you spend for subsequent betting is drawn purely from the profits that you have generated from previous matched bets. No more worries, in other words, about accidentally blowing your rental or electrical bill money on matched betting! No, we aren't even necessarily talking about the laptop kind – just a literal paper notebook could be your indispensable partner when placing matched bets. Sometimes, when you have a busy life (don't we all? ), it's good to have something on which to jot down quick notes, particularly when you have been browsing your Profit Accumulator account during your lunch break and spot a great opportunity to come back to later. Alternatively, you might just want to remind yourself to place certain bets before the relevant sporting fixtures take place. The venerable spreadsheet continues to prove its worth in our everyday lives – not least for matched betting! It's a great idea to have a big spreadsheet that is updated every time you make money from betting. This will give you a quick and easy overview of the value of your matched betting empire at any one time. Your spreadsheet should include all of your account balances, free bet amounts, logins, passwords, profit, loss and accumulators. You might use the first sheet to display a comprehensive overview of all of your bookmaker accounts and exchanges, with totals at the bottom for your balances, pending withdrawals and free bet amounts that haven't been used. If the prospect of having to create your own spreadsheet from scratch for logging all of your matched bets and associated information is daunting you, never fear, as there is a renowned matched betting accounting resource already in existence – Ultimatcher, which you can download here. This complete ready-to-go spreadsheet for matched betting is the work of someone called 'the_goon' and is a little intimidating at first glance, but The Money Shed has come up with a handy beginner's guide to using Ultimatcher for your own matched betting. Read it carefully, and don't begin to use the spreadsheet until you have completely understood how to do so. 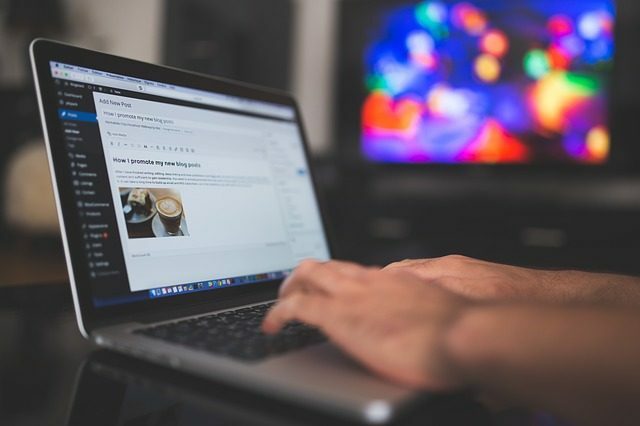 This one's a lesser-spotted tip – why not document your matched betting adventures through your own regularly updated WordPress or Blogger blog? It's certainly another way to keep track of your successes with this form of matched betting and remind yourself of what approaches are working best. 'Mug' bets are conventional bets that are placed to avoiding the bookmakers suspecting that you are only using them for their sign-up and reload offers. Remember to keep records of your mug bets, including when you place them, the sites that you place them at and the types of bets that you place, to help ensure a pattern of normal-looking betting activity. Don't just wait until you get home to explore the latest opportunities to place a matched bet or seven. The Profit Accumulator site is mobile-compatible, so you can easily log in from your smartphone and make a note on your device's notes app of the opportunities that you have taken advantage of 'on the go', or that you would like to take a closer look at when you get home. Apps like Remember The Milk and Todoist can be great for making on-the-go notes of the matched betting opportunities that you spot, with reminders able to be set up so that you never miss one – wherever you happen to be at the time. Keeping such reminders in one place also gives you something to refer back to when you need to add your day's matched betting activities to your spreadsheet before you go to bed. The logic for this one is similar to the bank account tip mentioned above – when you have all of your matched betting accounts linked to the same email address, you can ensure that you don't miss a single important message. Become a member of Profit Accumulator! This tip surely has to be one of the most obvious of all! Sign up for one of Profit Accumulator's excellent-value membership packages, or take advantage of our free trial. Either way, not only will you be able to focus all of your matched betting activities in one place, but we have also greatly simplified the matched betting process for you, which gives you less complicated stuff to keep on top of. Indeed, we have done all of the hard work of finding the most lucrative opportunities for placing matched bets and making the whole process as quick and straightforward for you as possible. What nicer way could there be to make money from betting while also keeping yourself well-organised at every stage?